Hanover, February 16, 2016 "The Conti Hybrid HT3 445/45 R 19.5 beat more than 5,000 other entries. We accept this award with joy and pride. 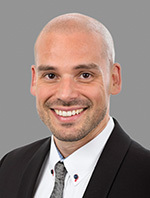 The iF Design Award recognizes the high standards we constantly apply to the development of our tires in terms of performance, safety, and efficiency – and which of course can be seen in their design as well," explains Constantin Batsch, Vice President Business Region Truck Tires EMEA. The low profile tire came out on top in the "Product" category and impressed the 58-person panel, made up of international design experts, on account of its design quality, innovation, safety, environmental compatibility, and other criteria. With the Conti Hybrid HT3 445/45 R 19.5, Continental offers a highly durable and fuel efficient trailer tire that has been specially developed for volume transport. Its retreadable carcass improves the carbon footprint of transportation companies and makes a positive contribution to sustainable and environmentally friendly goods transportation. Like all tires from the German premium tire manufacturer, the Conti Hybrid HT3 445/45 R 19.5 was fully developed at the in-house design department based at Continental's site in Hanover-Stöcken. The design department develops the brand, application and segment-related design concepts for all tire ranges. It is the product designers’ aim to make the tires’ technical characteristics visible in their designs. The designers also create a distinctive look for each tire family, linking together all products in a tire range. 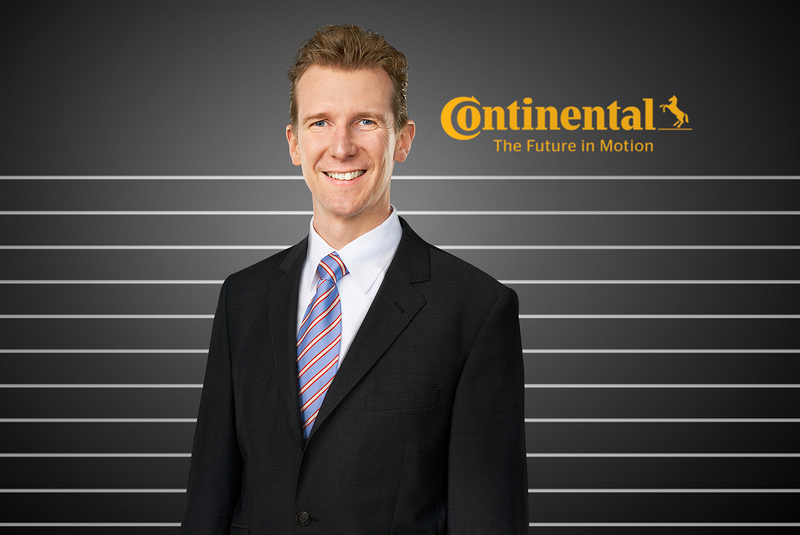 In addition, they make sure that the Continental brand can be recognized in each tire. The Conti Hybrid HT3 445/45 R 19.5 trailer tire impresses with its design quality, safety, and environmental compatibility and receives the iF Design Award in the "Product" category. The iF Design competition has been held annually by the iF International Forum Design GmbH since 1954. The award-winning products are honored during the official award ceremony on February 26, 2016 at BMW Welt in Munich with the internationally recognized iF Design emblem. 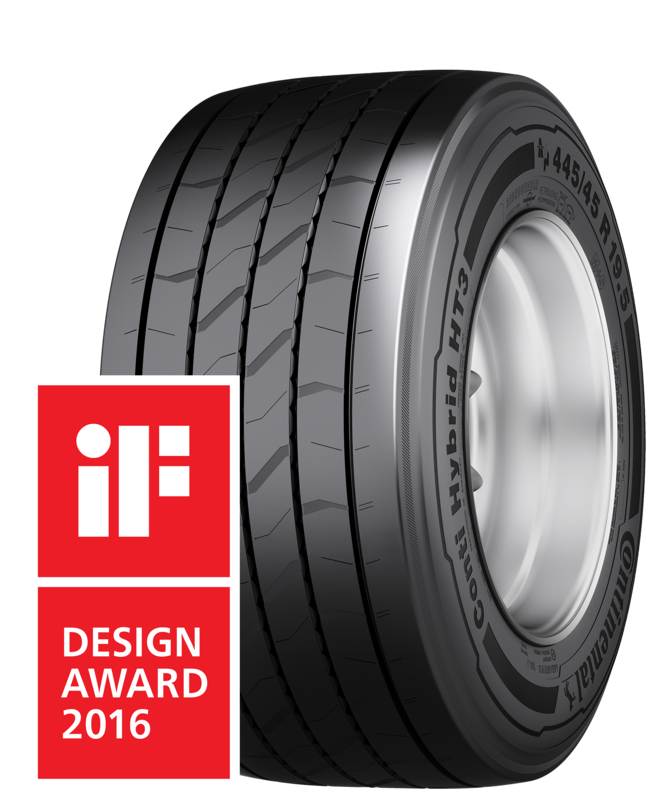 As part of the award, the Conti Hybrid HT3 445/45 R 19.5 will also be on display at the iF Design exhibition in Hamburg. The Conti Hybrid HT3 445/45 R 19.5 is characterized by a high load capacity and excellent service life with a low diameter. With an axle load of 9 tons, the profile of the trailer tire allows the best use of the 3-meter internal load height, when used on the semitrailers of mega liners. The optimized tire contour and balanced load distribution results in an even wear pattern of the trailer tire and contribute to a long service life. Thanks to a 15 percent reduction in rolling resistance compared to its predecessor, the Conti Hybrid HT3 445/45 R 19.5 qualifies for the EU label "B" in the fuel efficiency category. This means the trailer tire reduces fuel consumption in both regional and long-distance transportation.